I’m not sure how it happened, but here we are just a few days away from Thanksgiving 2012. Since many people have abbreviated work weeks and may also be busy prepping or packing up to travel for the holiday, I thought I’d offer an early dose of motivation on how to get through the traditionally gluttonous holiday. Get in some morning activity: Even if you can’t get out of the house, you can still pop in an exercise DVD or bang out a Tabata or two wherever you have space to do push-ups or burpees. If you only have a short amount of time to escape the house, take a brisk power walk or abbreviated run. If your gym is open, get to a morning group exercise class or at least bang out some cardio and core work. Don’t skip breakfast: Eat something sensible to get your metabolism moving and to avoid being ravenous when you dig into that holiday meal. If your Thanksgiving feast isn’t scheduled until late afternoon, make sure to follow breakfast with a small lunch or sensible snack so you don’t go overboard later. One of my favorite sensible fillers is a non-fat plain Greek yogurt with a serving of almonds mixed in. The protein-rich snack keeps me satisfied for hours! Savor the flavor: Eat slowly! If you do clean your plate, wait about 10 minutes before going back for round two. This will help you decide if you’re really hungry. If you aren’t, you’ll feel good knowing you had one helping – before moving on to dessert, of course! Watch the alcohol intake: This is a good day to follow the every-other-drink-is-alcohol plan. Enjoy a glass of wine, beer or cocktail then have a glass of water of diet soda before moving on to the next libation. 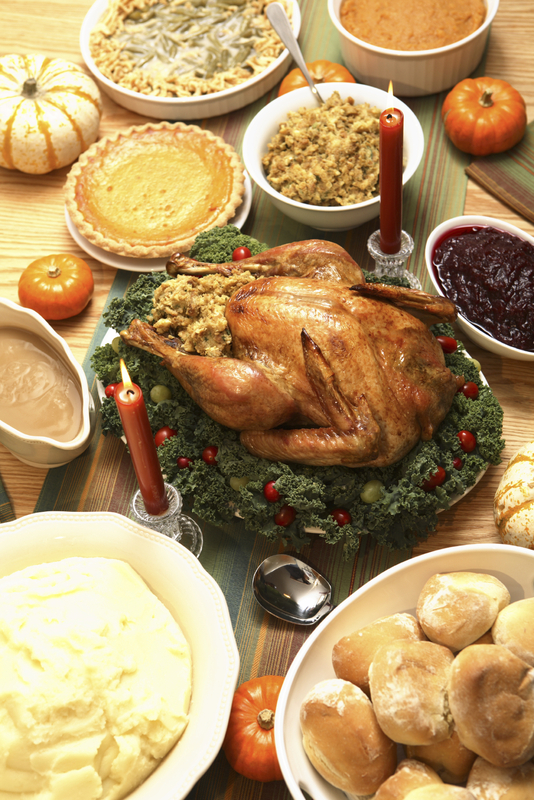 Give away leftovers: Hosting the holiday feast? Don’t be shy about giving some of the uneaten turkey and trimmings to your guests. If you have any “secrets” that help you enjoy the holiday without waking up feeling guilty on Black Friday, I’d love to hear about them! The holiday season is definitely challenging when it comes to watching our waistlines, but the good news there are some tricks that can help you continue your journey to have fun, be fit and feel fabulous! Posted on November 19, 2012, in Fitness, Health, Nutrition and tagged Holiday Eating Survival Tips, How to Not Overeat on Thanksgiving, Laura DeAngelis, Personal Fitness, Tabata Training, Thanksgiving. Bookmark the permalink. 6 Comments. I plan to hit the gym as early Thursday as I can and then to drink plenty of water all day and before dinner. I don’t hydrate as well when I’m at home (it’s easy for me while at work for some reason) and I hear 16oz or so before you sit down for the big meal might keep you from over indulging. Happy Thanksgiving!